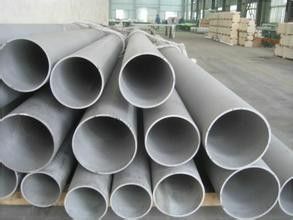 Stainless steel seamless tube is a hollow round steel, widely used in petroleum, chemical, medical, food, light industry, machinery and instruments, such as industrial transportation pipelines and mechanical structure parts, etc.. In addition, the bending and torsion strength of the same time, the weight is lighter, so it is also widely used in the manufacture of machinery parts and engineering structures. 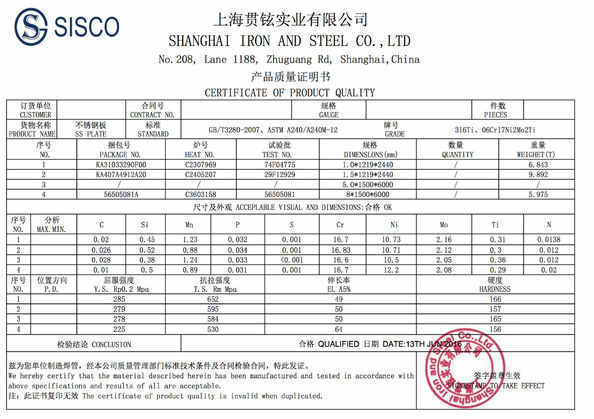 Also used for production of various conventional weapons, artillery barrel, etc..
A, according to GB14975-94 "stainless steel seamless steel pipe", the length of the steel pipe is usually length (not constant) hot rolled 1.5 ~ 10m, hot extrusion steel pipe is equal to and greater than 1m. Cold drawing (rolling) steel pipe wall thickness of 0.5 ~ 1.0mm, 1 ~ 7m; the wall thickness is greater than 1.0mm, 1.5 ~ 8m. 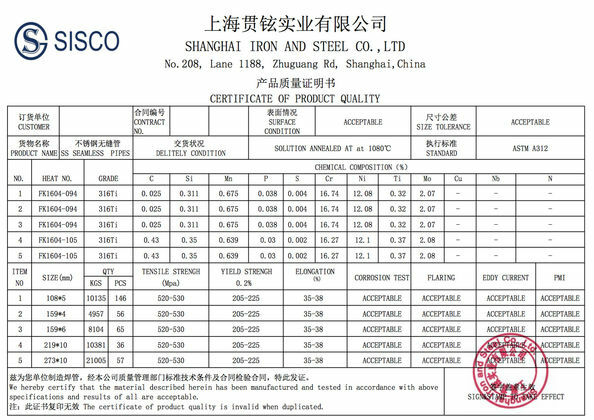 B, hot rolling (hot extrusion) steel pipe diameter of 54 ~ 480mm a total of 45 species; wall thickness of 4.5 ~ 45mm a total of 36 species. 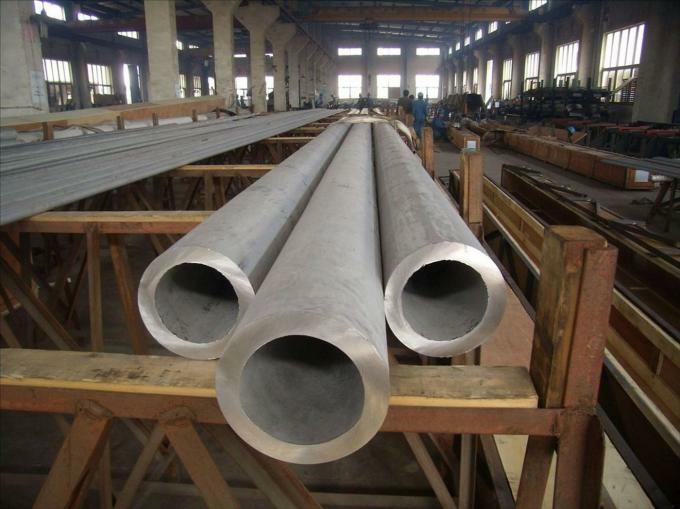 Cold drawing (rolling) steel pipe diameter of 6 ~ 200mm is 65; the wall thickness is 0.5 to 21mm 39. C, both inside and outside the pipe surface shall not have cracks, folding, cracking, crack, rolling reduction, separation and scarring and defects, these defects should be completely removed (except for machining tube), after the removal of the outer wall thickness and shall not exceed the negative deviation. Any minor surface defects not exceeding the allowable negative deviation may not be removed. D, direct channel allows depth. Hot rolled, hot extruded steel pipe, the diameter is less than or equal to 140mm less than 5% of the nominal wall thickness, the maximum depth of not more than 0.5mm; cold drawing (rolling) steel is not greater than 4% of the nominal wall thickness, the maximum depth of not more than 0.3mm. third, must be processed offline. So it is in high pressure, high strength, mechanical structure of the material reflects its superiority.